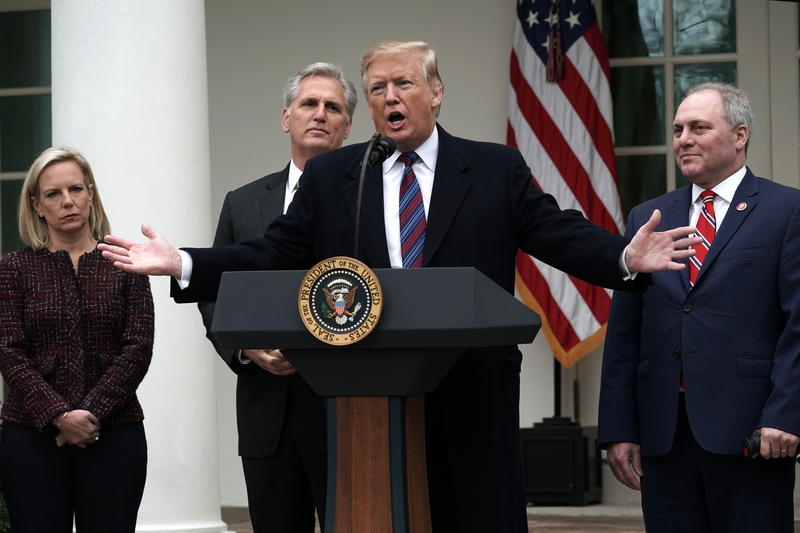 Talks to end the partial government shutdown will continue throughout the weekend, including a working group headed by Vice President Mike Pence, President Donald Trump said at a press conference in the White House Rose Garden Friday. Aide-level talks will take place over the weekend as the partial government shutdown hits its two-week anniversary. Congress helped trigger the shutdown after a short-term continuing resolution to fund the government expired on Dec. 21. At the center of the funding battle is the border wall Trump wants to build. Trump and congressional leaders exited a White House meeting about the situation Friday with no deal to reopen the government. Trump also met with congressional leaders Wednesday. He sent slides from the border security presentation to members of Congress as a letter Friday. “[S]ome of those present did not want to hear the presentation at the time, and so I have instead decided to make the presentation available to all Members of Congress,” Trump wrote in the letter.